Students make a model of the body's immune response using the materials given. Tests their understanding of the immune response, pathogens, and antibodies. 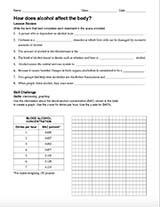 Scoring rubric and background notes included.